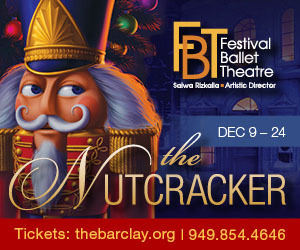 The Long Beach Ballet will continue its annual holiday tradition this December with performances of The Nutcracker at the Long Beach Terrace Theater. As always, the production bursts with special guest performances and additional surprise treats the entire family will love. 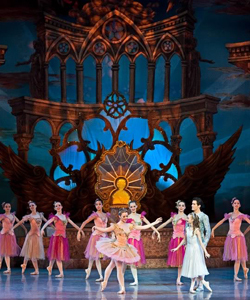 The Long Beach Ballet's Artistic Director, David Wilcox, pulled out all the stops for the 34th production of the classical tale. This production boasts a full symphony orchestra, a flying sleigh, a real live horse, on-stage pyrotechnics, and a cast of over 200. 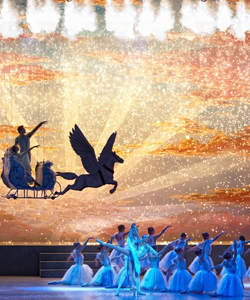 The enchanting scenery was created by former Disney designers Elliot Hessayon and Scott Schaffer, the detailed costumes designed by Australian artist Adrian Clark, and special effects by renowned magician Franz Harary. 20% discount for Children under 12, Seniors and Groups of 15 or more. VIP Package $115.00 includes –choice Main Orchestra seating, complimentary full color souvenir program and backstage pass.